Compared to the traditional telephone system, a VoIP phone solution provides substantially more freedom to go about your business as you see fit, as well as the flexibility to adjust needs on a whim and the functionality you expect from an enterprise-level modern phone system. If all you’ve ever known are corded desk phones with a limited reach, then you don’t know the heightened experience of putting on a wireless headset and taking your business on the road. Traditional telephone systems are limited in scope because you’re tied to your desk or within a certain radius of your handset. VoIP phone systems can be used on any connected device, be it a desktop, a laptop, or even a mobile device. Since it’s a cloud-based application, your business can make use of it wherever and however it pleases. 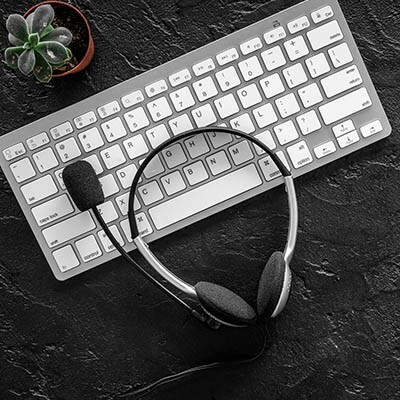 When you implement a traditional telephone system, chances are you have a specific setup in mind that caters to your current needs. Now imagine that your organization is growing at a staggering rate and you don’t have enough phones for everyone. Knocking down walls, running cables, and changing your physical infrastructure just to add a few phones to your network is an overly complicated and expensive process. A cloud-based VoIP system allows you to add new numbers and users when they are needed. 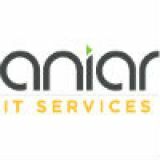 As long as your network can sustain the bandwidth (have the IT professionals at Aniar IT Services consult your Internet service provider for more information on this), you can add as many users as you need. A traditional telephone system is subject to the whims of phone providers. This in itself isn’t inherently bad, but the fact that so many of them bundle together unnecessary services makes for a frustrating and expensive system. For example, your business certainly doesn’t need 300 channels of cable television in addition to its phone system. Instead of bundling unnecessary services together, a VoIP solution offers you the opportunity to customize the solution to fit your specific needs. This includes additional options like instant messaging and video chat, in addition to all of the tried and true basics like conference calling and voicemail. Basically, you only pay for what you actually want and need, not what the provider thinks you want and need. Could your organization use hosted VoIP? Aniar IT Services can help. To learn more, reach out to us at 094 90 48200 .